I promised a review of French Women Don't Get Facelifts after I reviewed Toss the Gloss (here). I'm going to probably do two or three posts on this as there is a lot to talk about. Mireille Guiliano, who wrote the book, is the author of the best-selling French Women Don't Get Fat and French Women for all Seasons. I have read both. In fact, I've read quite a few French style books over the past 10 years. It seems that I (as well as many women of a certain age) am looking for advice on aging well, or how to be bien dans sa peau (comfortable in your own skin). There is a big difference between American and French attitudes toward aging. While Mireille acknowledges that some French women do have facelifts, France is not even in the top ten countries in the world for plastic surgery (guess who is first?). French women are much more able to accept aging comfortably than their American counterparts. She says, "In America, people seem to want to project youthfulness, while in France, people want to look comfortable in their skin and not tired." French women, naturellement, want to look chic and stylish, and they continue to be interested in beauty and style their whole lives. They are big on skin care and moisturizers, and see regular facials as important as a visit to the dentist. But, it is all done with an attitude of ease and acceptance, not one of panic and anxiety that can so characterize our attitudes toward a new wrinkle or gray hair. I want to stop for a moment, and be clear. I don't aspire to be a French woman. Some of these books project the not-so-subtle opinion that American women should just be French. But we Americans have our own wonderful strengths as well, including a friendliness, openness, and optimism that we should be thankful for. But we can always learn a few tricks from our French sisters, n'est pas? 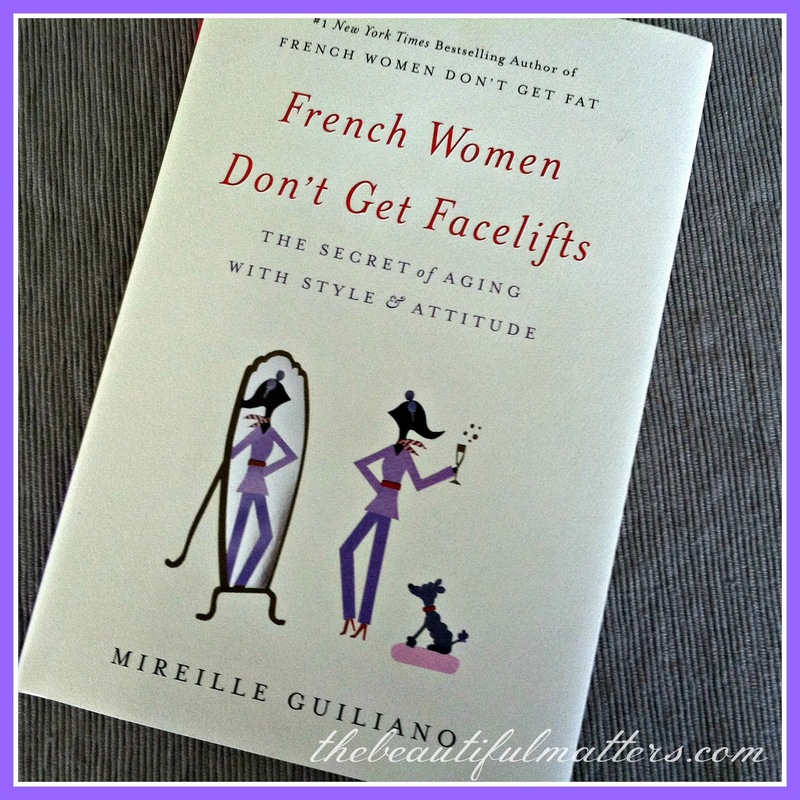 Mireille says that the biggest difference between French and other women in regards to aging is attitude. France is not a youth culture. A woman in her forties and fifties and even older is still considered alluring, and she believes that she is. Because of that attitude, everything changes. She takes care of herself and watches her weight, of course, but she doesn't try to be twenty-something. Her mind is active and engaged and she acts like an adult, letting go of insecurities about herself. We seem to take an overly critical assessment of ourselves, and see every "flaw" and imperfection, while "French women don't give a fig about perfection." We fear being seen as old, while the French think, "I see myself in the mirror for what I am. I accept that, and I am at peace with that; but will do whatever is in my control to manage the message I send. And then I won't sorry about what people think. I will take care of myself and cultivate an image that is me at my current best and stay engaged in the world." She mentions the beautiful Catherine Deneuve, born in 1943, who is not afraid to show her neck, "which betrays more or less her age, but she seems to be saying comfortably, 'Who cares? I am the whole package, not an aging neck.'" My takeaway from this is that we do the very best we can, and then we enjoy life, with all its beauty and drama. We enjoy learning new things and cultivating friendships. We deepen our faith. Studies show that women our age are some of the happiest -- let's enjoy that! A common theme running through this book is that less is more. As we age, that should be our mantra. Less makeup, less reliance on fashion trends, less (and higher quality) food. Kitten heels rather than stilettos. Quality versus quantity. Less skin showing. 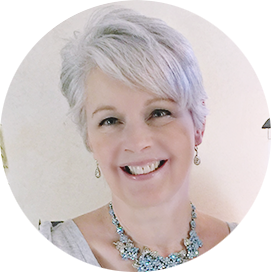 Mireille has lots of tips on clothes, makeup, skincare, hair care, exercising, nutrition (including recipes), and supplements. And throughout it all, she talks a lot about our attitudes. Her attitude toward exercise is one that I can embrace, never really being into it myself. She says French women aren't into gyms and competitive sports or sweating. Walking is huge, though, and she does emphatically recommend some "invisible" exercise every day, incorporating movement into all your routine activities. For example, take the stairs instead of the elevator. Don't look for the closest parking space. Bike, swim, dance. A twenty-minute walk per day is the best "nonexercise" you can do. She does recommend yoga and Pilates as well as a little strength training with weights as we age, for flexibility and strength, and gives directions for some deep breathing practice. This is when I wish I lived in a little English or French village, and walking to the boulangerie or fruit and vegetable stand was part of the daily routine. The suburbs isolate us from so much, and a car is necessary to get almost anywhere. Walking around the neighborhood just isn't the same. Maybe I should get a dog? Stay tuned; I will share some more specific tips that she has in my next post. I would love to hear your comments about aging well, too. Wonderful post! As an American woman, I want to just fix my eyes, specially cause my lower lids have small spots and I don't like it, otherwise I would be French, lol! Hubby and I walk 3 times a week, by the river side and see all the walkers with their doggies, kids running, very old people walking and many Americans that are retiring here and we say HI!!! I also go to the gym 3 times for spinning clases and do watch what I put in my mouth...so I try and do my best, but that's it! Thanks for sharing Kathryn. I meant Deborah...just a senior moment! I should excersise my mind too, lol! Thanks for the lovely post. I have a dog so I'm walking him every morning for a half hour. He gets me moving and I try to watch what I eat and lots of moisturizer! I can't wait for the next post. I walk my dog every morning and during the winter months when I'm not gardening, exercise for an hour each day. I like the ideals of the French attitude, we need to accept ourselves as we age. So many older women are still dressing, and wearing makeup like they did 30 years ago and honestly, some look good while others are embarrassing themselves. It's all just such common sense. Yes, we North American women have our strengths, but being comfortable in our skin as we age is generally not one of them. Some one just gave me a copy of a magazine called Phoenix Home and Garden - a decorating magazine that is heavy with ads for plastic surgeons. So sad. I would really enjoy this book. Attitude is key in so many things and aging is something that we are fortunate to have happen if we live long enough. Maybe Nortth Americans have been brain washed by ads....I say that we can learn from those sensible and chic French Femmes. This is a book that I would buy, I think. I do like the common sense attitude of growing old gracefully, but taking care to look our best. I have found that as I do get older, I feel more comfortable with myself. Maybe it is that I am more accepting over-all, and not just about looks, but more compassionate towards myself and others. I am looking forward to the next post. I'm loving your book reviews. "I want to stop for a moment, and be clear. I don't aspire to be a French woman. Some of these books project the not-so-subtle opinion that American women should just be French. 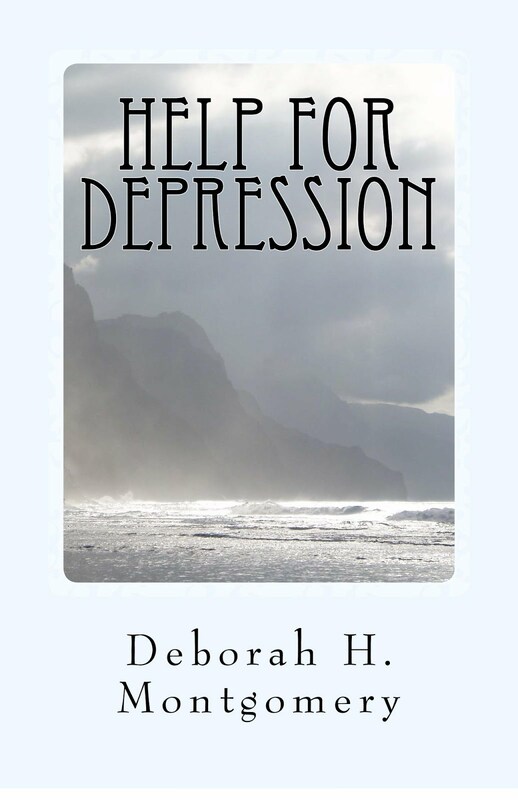 But we Americans have our own wonderful strengths as well ..."
Thank you for your kind words on my posts, Deborah. Hi Deborah, I have nominated you for an award! I do hope you accept as I love your blog!